Today we are crocheting a very unique pillow cover. 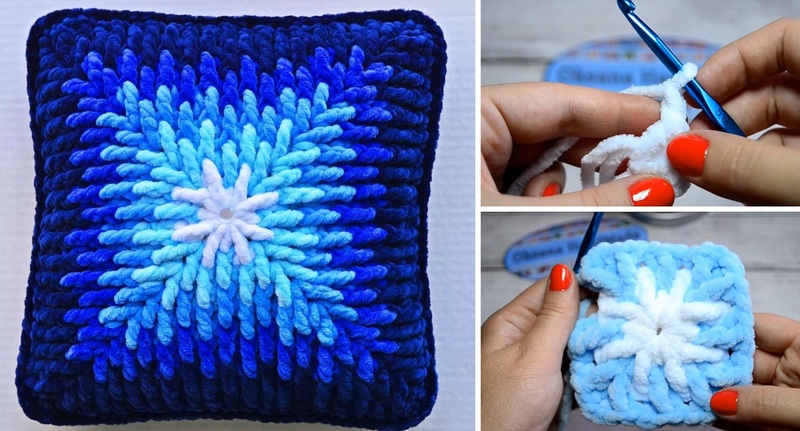 Last time we shared the pillow cover instructions, our readers seem to love it a lot. Today we are sharing yet another, rather unique video guidelines for the absolutely gorgeous pillow cover. The tutorial is not in English and this is certainly unfortunate. However, the instructions given in the video guidelines are very well delivered so that even without verbal understanding – you still should be able to complete the project. The basic part of this pillow cover, is of course the square that is going to serve as the front side. Make sure to follow the instructions carefully and drop the comment if anything bothers you.